After much anticipation from the initial announcement of a Super Smash Bros. game coming to Nintendo Switch, Nintendo unveiled Super Smash Bros. Ultimate during their E3 press conference. As mxdwn Games reported, Nintendo first announced that they would provide specific game details before kicking off their Super Smash Bros. Invitational. During and even before that time, fans were speculating whether or not the new game would just be a port of the Wii U version. Now we know for certain that this is indeed a full-fledged and new content-packed entry to the esteemed series. To start, viewers were introduced to Super Smash Bros. Ultimate game director Masahiro Sakurai who provided a brief overview of the game for any potential first-time players. Following that, a montage was played showing confirmed characters on the roster. Before viewers could even start speculating, a shattering revelation was announced. The new Super Smash Bros. 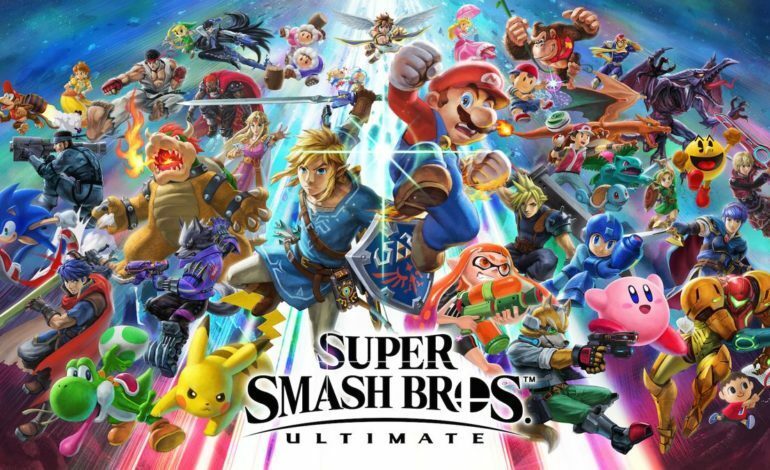 Ultimate will have every single character that’s ever been in a Super Smash Bros. game. Let me repeat that, EVERY SINGLE CHARACTER FROM SMASH HISTORY WILL BE IN THE GAME. 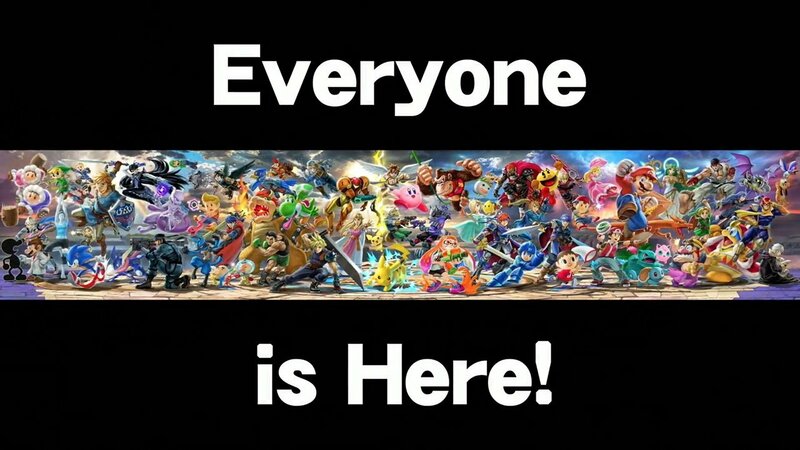 Calling it the “biggest crossover in gaming history,” Sakurai reminded us why one of the game’s mottoes is “worlds will collide”. Returning to the lineup are Melee and Brawl favorites: Ice Climbers, Young Link, Wolf, and Solid Snake. Sakurai noted that when player’s first start the game their rosters will be as small as the N64 original. This was done to distribute new challengers in a fluid way that will have players feel like they’re constantly unlocking characters. In addition to adding every character from the franchise, eight-player matches will be returning to Super Smash Bros. Ultimate. After dropping that hammer on fans, Sakurai went on to discuss a multitude of changes for various characters. For instance, Mario has been changed to add his most-recent ally, Cappy from Super Mario Odyssey. Meanwhile, Link will don his blue champion’s tunic from The Legend of Zelda: Breath of the Wild. Link will also now be able to activate his bombs remotely and has a new BotW-themed final smash titled “Ancient Arrow”. Changes for the upcoming title will also include new stages as well as the return of classic stages such as F-Zero-themed stage Big Blue and the Metal Gear Solid-themed Shadow Moses Island. Additionally, new items and assist trophies will premier in Super Smash Bros. Ultimate. Included in the list of new assist trophies were Bayonetta‘s Rodin, Splatoon‘s Squid Sisters and Bomberman himself. 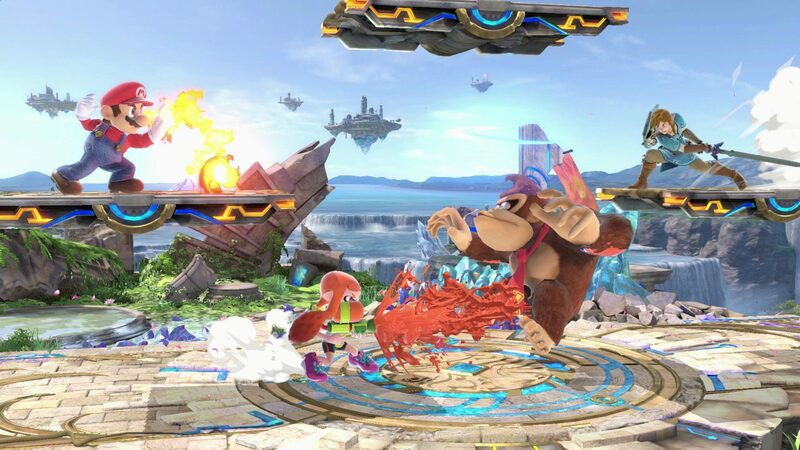 In Time battles, certain assist trophies will also grant points to enemy players that can knock them out of the arena. Ready for their first Smash battles are Inkling Girl and Inkling Boy. 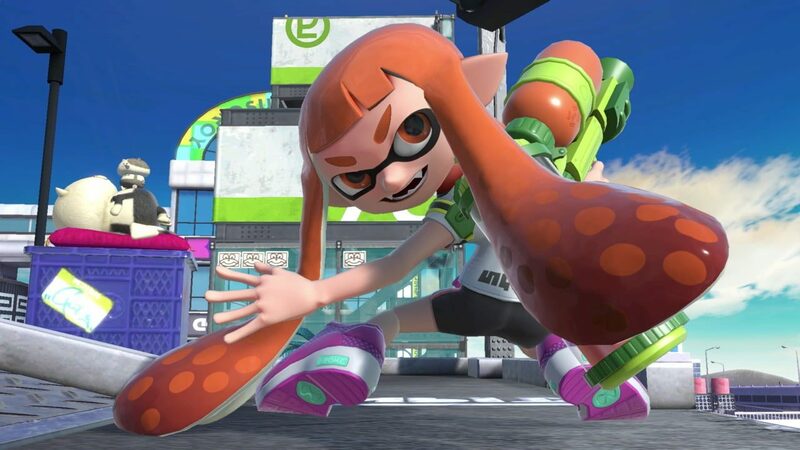 The all-new characters will borrow heavily from their series in that each attack will bring out a specific weapon from the arsenals found in the Splatoon games. Enemy characters covered in ink will give the Inkling fighters a damage boost and there will be speed buffs and debuffs from player-set ink that can cover stage floors. Players using these fighters will have to press B while shielding in order to refill their ink throughout matches. Also, a new Splatoon-based stage, Moray Tower will make its debut in Super Smash Bros. Ultimate. Moving forward, Sakurai dedicated a section of the presentation to the game’s new techniques and changes in classic mechanics. Some quick basic changes: rapid attacks will now be activated by holding the basic attack button and dashes can be canceled now with the double-button press of a smash attack (A + B). New to the series is the directional air dodge. Players will now have an extra invisible push for their characters that can serve as the difference between surviving devastation or being smashed to oblivion. Excessive dodging will come at a cost now though. As shown in the presentation, six consecutive dodges have a noticeably longer recovery rate over when a single dodge is used. Also being reworked is the “Perfect Shield” technique. For a split-instant, when players drop their shield they will be perfectly invincible at no cost to their shield’s life. It will be incredibly interesting to see how the pros will utilize this newly updated mechanic. Also in relation to the competitive scene, 1-v-1 battles will now have a bit more intensity. Player damage will now tick higher in solo 1-v-1 showdowns than they will in larger multiplayer-based matches.